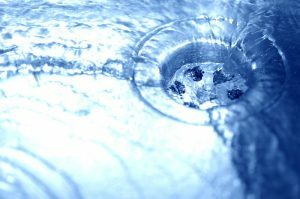 Factors That Can Lead to Premature Drain Repair | Reliance Plumbing Sewer & Drainage, Inc.
You may have heard this term before, even if you don’t quite know what it means. Hard water is the name given to water with high levels of minerals in it—namely, calcium and magnesium. These minerals are harmless to ingest, but they are not harmless when it comes to your drains. They build up and accumulate, creating limescale that begins to eat away at your drains and drainpipes, until you have an unsurmountable clog or blockage that you can’t easily remove—and so you reach for the second worst enemy of drainpipes everywhere: store-bought chemical liquid drain cleaners. Scale buildup on your plumbing fixtures and appliances. Dry skin and hair when you get out of the shower. Faded clothes after washing and drying them. The need for frequent plumbing repairs/frequent patching up of leaks. An unexplained raise in your water bills. Unsightly dishware out of the dishwasher. What about Those Liquid Drain Cleaners? The problem with the liquid drain cleaners you can get at pretty much hardware store is, first off, that they are corrosive. Sure, they’re marketed as the end-all be all of any clog—but we guarantee that when the clog is gone, the drain cleaning solution stays behind, eating away at the drainpipes. Not only that, but the use of these chemical drain cleaners doesn’t prevent further clogs (unlike professional drain cleaning methods, like hydro-jetting) so you may find yourself using it every few months, only to eventually discover that the chemical drain cleaner you’ve been relying on to remove a clog is actually building up and creating a clog. Ironic, right? Do your drains a favor and when you have a stubborn clog that won’t go away no matter how many times you use a plunger and some elbow grease, call our pros. Professional plumbers have years of training and expertise dealing with just about any plumbing problem under the sun, and our methods will remove the clog and prevent it from happening again. Don’t forget to ask us about plumbing maintenance, too!